This entry was posted in Gardening Tips, Organic Gardening, Recipes From The Garden and tagged bean beetle, green bean bugs, green beans, mexican bean beetle, recipe roasted green beans, United States Department of Agriculture, USDA. Bookmark the permalink. Lots of good information! We did very well this past summer with organic green beans — the bush variety — grown from seed. 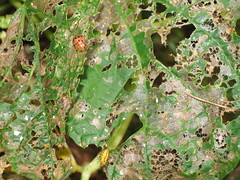 But I’ll refer back to this post next year if we start to see signs of beetles or other problems. The canning info will also be helpful! I’m so glad you like the information. I love sharing what I have learned the hard way and getting tips from other gardeners. 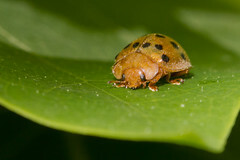 Have to confess I’m jealous of the island with no Mexican Bean Beetles….hope it holds.